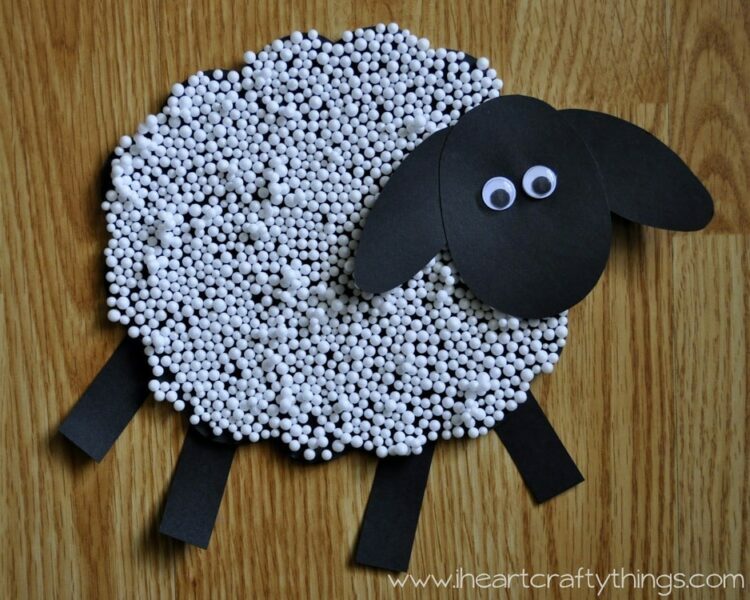 The other day as I was fumbling through the bags at the bottom of my craft closet I came across some bags of fake snow Styrofoam pebbles that I purchased on clearance after Christmas this year and it hit me that they would be a perfect material for a sheep craft. 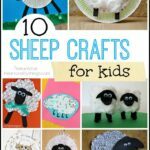 I had been wanting to make a sheep with my daughter so it was perfect timing! 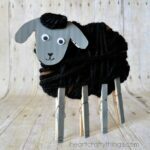 Not only are sheep a great craft for Spring, but one of my daughter’s favorite shows right now is Shaun the Sheep, so her enthusiasm was through the roof about making this craft. Here is her completed sheep craft. She is 3 1/2 years old. 1. 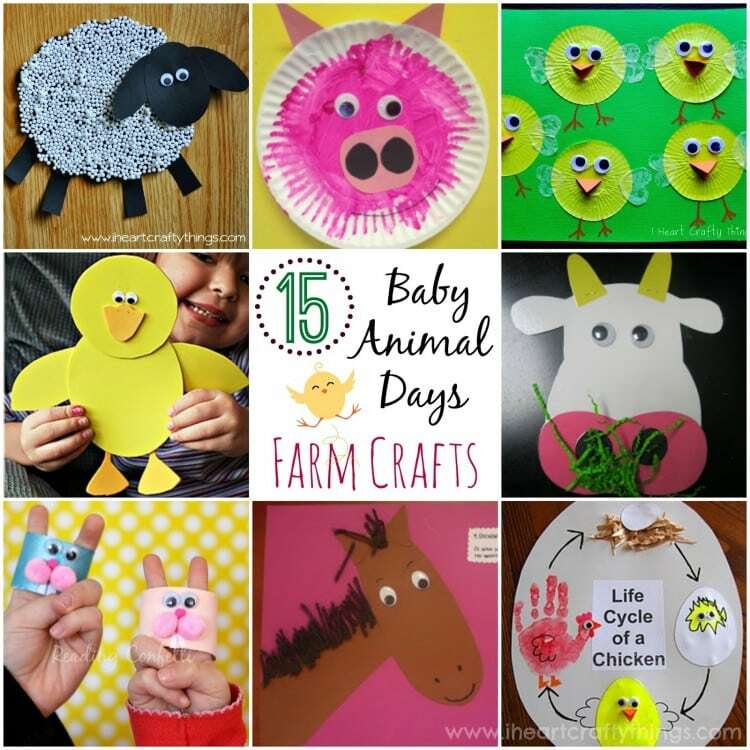 Cut out all the sheep pieces you will need from your black cardstock paper: a scallop shape for the body, an oval shape for the face, smaller oval shapes for the ears and 4 rectangle legs. 2. 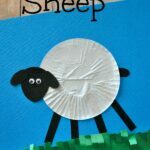 Put school glue all over your sheep body and then use a paint brush to brush it evenly all over, making sure all of it is covered with glue. 3. 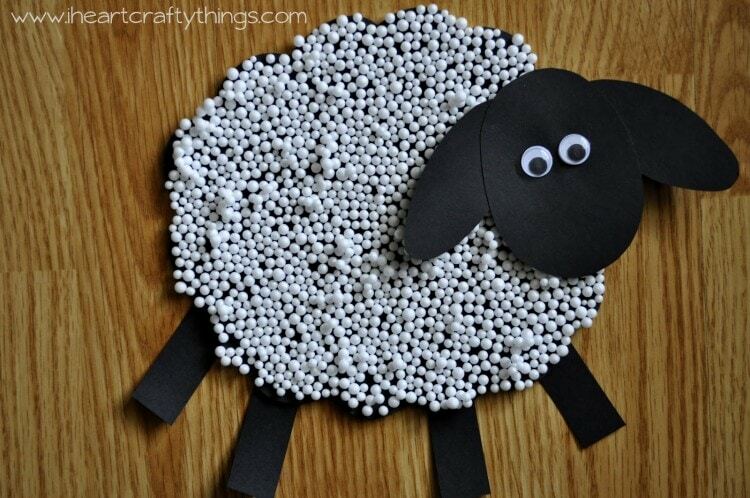 Make a small opening in your Styrofoam pebbles bag and begin pouring it on your sheep body. We did this part it a tray to make it contained in one area. (These little pebbles can get out of control really quickly if you don’t have it in a controlled container, so beware!) Continue pouring the pebbles all over the body, covering it completely. 4. Press down lightly with your hand on the sheep to help fuse them all into place and then lift the body up and pour the excess back into the tray. 5. Use the school glue to glue the ears to the head and the googly eyes on the head. Then glue the head onto the sheep. 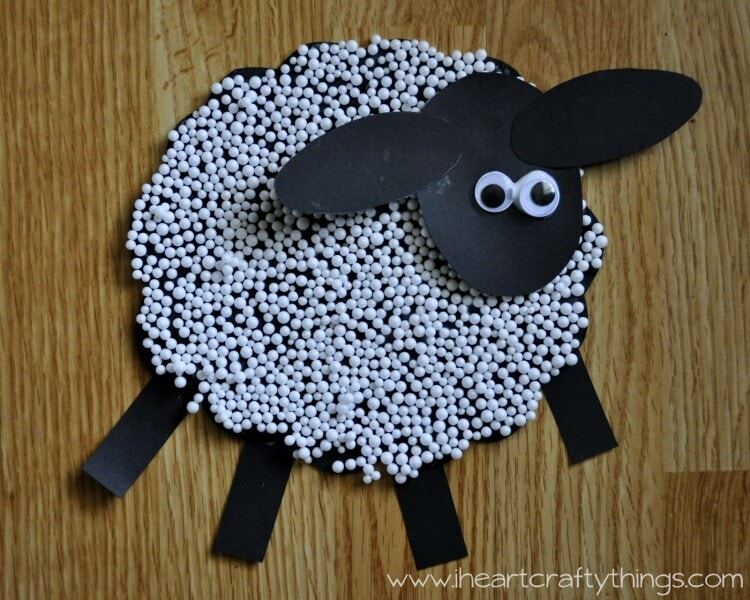 Finish by putting glue at the top of each leg and sliding it under the sheep in place. Let the sheep dry completely. These turned out super fun! I was worried the pebbles would be a huge mess but containing them in the tray was the way to go! We had some on the kitchen floor but they sweep up surprisingly well!